"I am really pleased with the amount of information, presentation of the material, the great staff, and the knowledge that this school offers. 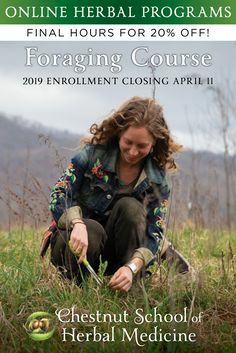 If you're interested in learning about foraging, this course offers the knowledge and know-how to be comfortable finding and using plants." "I love the videos, the many photos of the plants, as well as the participation on the forum with like-minded individuals who love herbs. I would encourage others to take the course to become more aware of what is growing around them and finding fun and helpful ways to interact with the herbs, or NOT when confronting poisonous varieties. It is evident that a great deal of time, care, and creativity was used in creating this course. 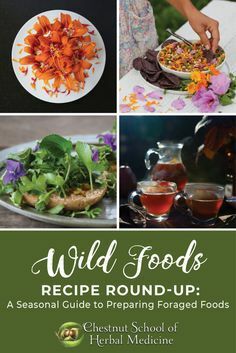 It has been a wonderful resource in foraging, making new herb friends, and understanding my old herb friends better." "Very comprehensive, lovely, chock full of stuff!! I am a very visual learner so the videos are wonderful for me. This course is well worth it, and while it is fun, it is also a lot of information and quite a bit of work (a good thing). This is a great course with great support for students." "This course is made up to be fun and practical. You can tell that there are professionals behind the content. You know you have a safe source for learning about plants, and there is a feeling of being in good hands—that the course instructors care and follow up with you. I loved the practical aspects of the homework assignments, they helped me learn a lot. I feel that I'm part of a school more than an online course." "I am definitely more confident identifying plants in the wild. I've also enjoyed learning to be more detailed in how I look at the plant, understanding the botany and cycles of the plant, and the concept of really getting to know a plant and feeling like you don't have to harvest everything just because it's there. It's nice to know which plants in my region are abundant vs. endangered, and learning to be more aware of the poisonous lookalike plants and the importance of learning their botany too. 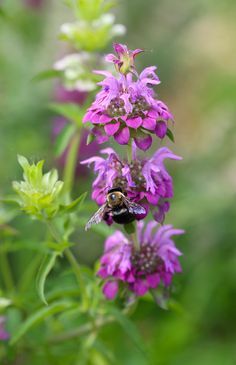 I have a much clearer understanding of scientific names and connecting the dots with family similarities and a better understanding herbal terminology. It is nice to hear different perspectives from the instructors, how they use the herbs and implement them, and everyone explains concepts with their own variances that enhance my understanding of the material. Appreciating the nutritional and edible sides of many of these plants, and learning to incorporate more into my diet. I have realized how many of the plants in the course grow all around me and a lot of them are actually pretty tasty! I have enjoyed eating more flowers too!" 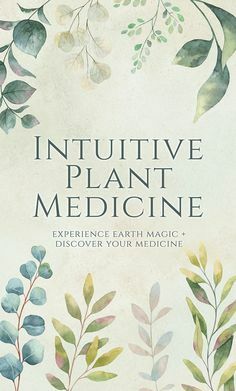 "I have always had a deep connection with plants but I do feel as if I understand them better. I am still working on my confidence as a forager and herbalist but totally believe I am on my way. The journey has been worth every step of the way. This is a really great program where your questions are answered by a supportive staff, and you feel like you're in a learning community." "I recently completed the Herbal Medicine Making Course and absolutely loved it! The course material is filled with beautiful images. The course is engaging, the material is easy to read and instructions for making herbal tinctures and herbal preparations are easy to follow along. It is supplemented with videos by Juliet Blankespoor and Asia Shuler. Also provided are wonderful recipes to make herbal culinary and natural body care products. As an owner of Woodland Apothecary™, I was very happy to get some ideas for new products. I liked it so much, I am now enrolled in the full Herbal Immersion Program." "Its a life-changing experience which was created and presented lovingly, thoroughly, clearly, and it uses all the various learning types, including textual, experiential, visual, and audio. I loved getting to know other students on the path and being introduced to the much larger than expected World of Herbalists. I am a newcomer, and I hadn't even realized how vast and varied the herbal-sphere had become. Astonishing." 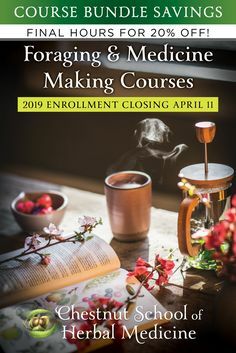 "This course was truly everything I could have hoped for as a beginner taking the plunge into the daunting world of medicinal herbs. The content is easy to understand, the videos helped guide me on how to properly prepare my medicines. There is an infinite amount of support from the staff and also from the Facebook group. I am really happy and satisfied with my learning experience." "I think the videos were the best part! 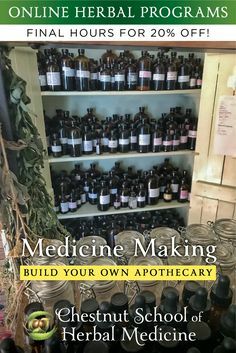 I have read many books on herbs, herbalism, and medicine making but to actually see and watch how it is done was like taking a class in person. Also the benefit of being able to ask questions and get answers from a trusted source was wonderful. Overall I think Juliet and Asia did a fabulous job with this course and there was lots of attention to detail. I was sad when it was all finished....."
"I really enjoyed learning from Asia and Juliet. Their energy resonated with mine and I was able to absorb their pace and mellow nature while I studied the methods of herbal medicine making. I enjoyed the wit and the music and the colors and the recipes and the Love!" "I was pleasantly surprised by the depth of content, specifically about ways to incorporate herbs into the kitchen." "This course was really uplifting - I have had some significant challenges in my life over the last year, as my partner suddenly became seriously ill, and I found myself thrown into the role of his caretaker while working towards the certificate. This course, and the Immersion which I am now working on, has grounded me daily in something that feels authentic and true and it has created a balance in my life I would not have had otherwise. So, thank you, from the bottom of my heart, for this course! 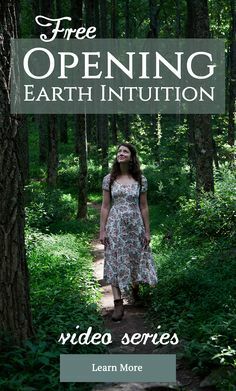 It has helped keep me strong, and helped me to trust my intuition." "I'm not super computer savvy so I feel like if I could navigate this, anyone could. The material was fun, light, funny even! I enjoyed it so much that it really has opened up a whole new world for me. No joke. " "This course exceeded my expectations. I honestly looked forward to studying each day: watching class videos, reading course materials and making a mess of my kitchen while moving through the experiential projects. I especially appreciate the humor that is included in the videos and written materials. You made me laugh and feel at ease so learning was much more fun! Plus, I feel like I got to know you as people, not just as instructors, which made it feel more personal." "I got the impression that the staff really connects personally with the plants and the love for the work really comes through." "I am so impressed and would recommend this course to anyone. I thought I was fairly experienced but I still learned so much!" "To me, everything made a positive impression, from the aesthetics of the page, videos, and PDFs, to the useful and friendly yet relevant and important information, the wide range of contents in the course, and the emails, full of kind words. I laughed and learned with the videos and I really appreciate every bit of information that you gave me (form the course and also the "gifts" you send). Thank you VERY much! I will miss having access to the staff, I don't feel quite ready to "graduate", but I will continue learning as a "alumni." "I enjoyed how the entire course was professional, yet extremely laid back. The videos were so helpful in making the content easy to understand." "The team was wonderful in answering my questions and commenting on my module review submissions. The videos were super fun! I love the humor and joy brought into each topic. The pictures and materials were beautiful and very high quality. The course manual was a goldmine of helpful information!" "I would recommend this course to others as it gives you an easy but challenging, thorough grounding in herbal medicine making. The sheer enthusiasm and dedication of the teachers with the beautiful presentation for me makes it a winner! I now feel really confident to make my own medicine and a whole new world has opened up to me in my kitchen!" "The Medicine Making Course was very helpful for me as someone who had very little experience with herbs to start. The help from everyone on the staff and on the group page made this an amazing learning experience! The videos are funny and entertaining, but engaging in such a way that they make you really learn what is being taught. The encouragement from everyone made me really want to be successful!" "This course was obviously done with loving intention! The pictures did help me for identification purposes and the videos were extremely helpful in learning the course content! Very stimulating course, well done! Not quite ready to hop in? Sign up for our mailing list for the nitty gritty!